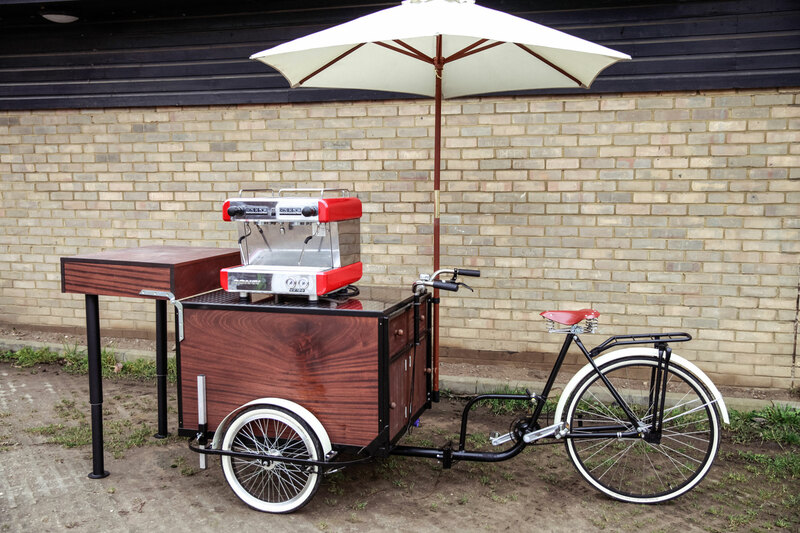 Our Mobile Coffee Bike has been custom built and looks amazing inside or outside. It is small and has a vintage feel about it, with its unique folding frame we are able to get this into most buildings and offices. We only require a standard power plug socket to power us up. Of course our little mobile coffee bike can be branded maximising your marketing campaign!